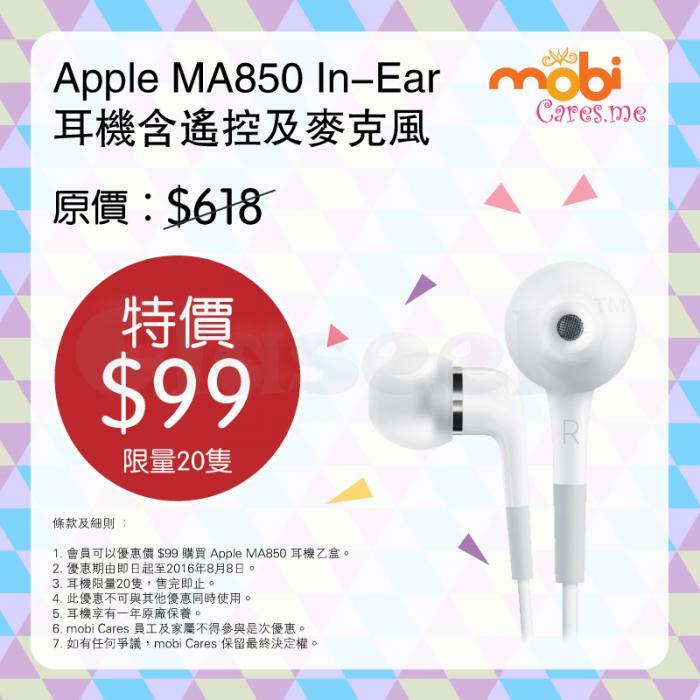 Each member can only purchases one Apple MA850 headphones at $99. The offer from now till August 8, 2016. Heaphones are limited to 20 pairs and available while stock lasts. This offer don't accept credit card payments. Heaphones with one year official warranty. Employees and their families of mobi Cares cannot join the promotion. In case of dispute, mobi Cares reserves the right of final decision.